Riverdi is an innovative TFT Display Module manufacturer which uses cutting-edge technologies to provide TFT Display solutions meeting today’s end user demands. Riverdi TFT displays are a cost effective solution that provide modern designs, state of the art display technologies and product universality. Riverdi has developed a process of TFT modules production that guarantees the highest quality and remains cost efficient. All Riverdi TFT LCD display products use industrial grade materials and components, thus they can be used in both consumer and industrial projects. Choose from over 130 ready-made industrial displays or create your own tailor-made high quality product, based on a wide range of technological parameters. Simply inform us of your plans or project and our team will recommend the most suitable display to you. Riverdi recommend two TFT controllers: the FT8xx chip by FTDI and SSD1963 by Solomon Systech. Each of them is dedicated to a different method of driving the TFT module. Contact us and inquire about the product you need. Possessing a wide range of products, we offer the most popular display sizes on the TFT display industrial market. The above standard sizes are only a small part of all available display sizes and resolutions. We encourage you to contact us and inquire about the product you need. 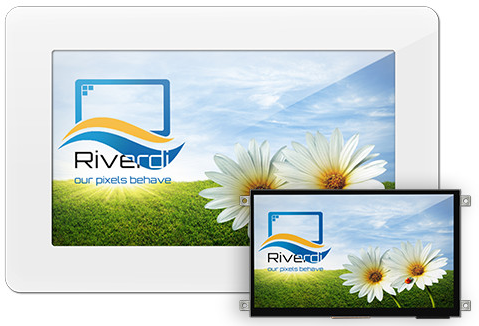 Riverdi displays can be driven by serial interface SPI or QSPI. This option is standard in TFT modules with FT8xx controllers. 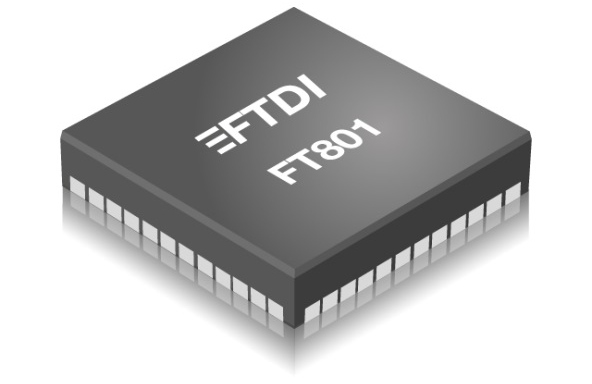 TFT modules driven by an SSD1963 controller can also be driven using a parallel interface. The RGB interface option may be selected to drive TFT displays which have no FT8xx or SSD1963 controller. An additional interface option is LVDS, a high speed digital interface popularly used in computers, it features include low power consumption and high reliability in high noise environments. 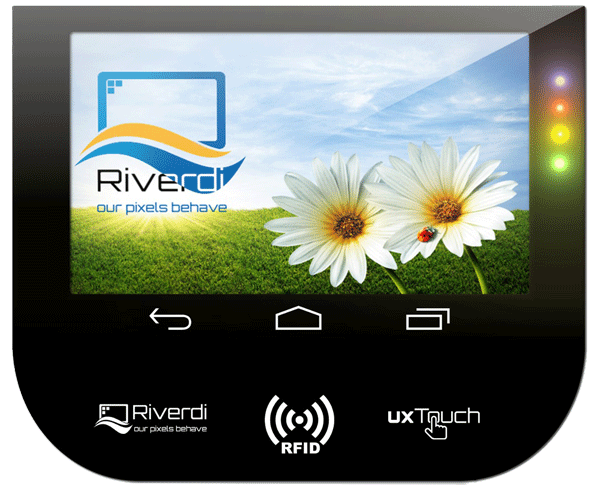 Riverdi offers two types of touch screen technologies:. 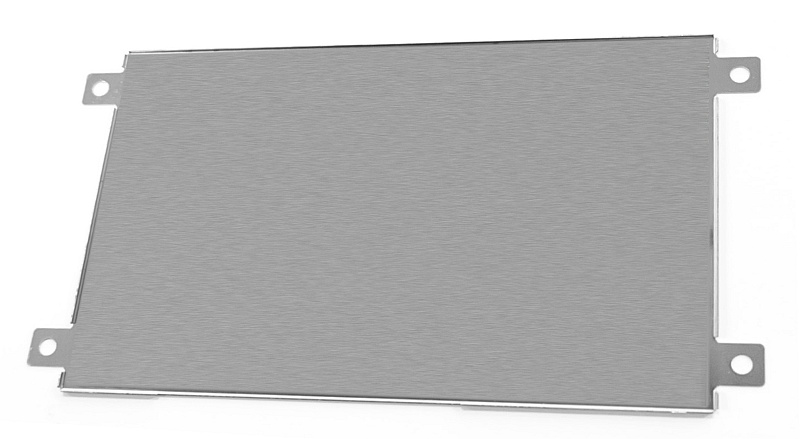 Resistive Touch Panel (RTP) – allows use of only one touch point and requires touch pressure on the surface. With RTP the luminance transmittance of the display is reduced by around 20%. Projected Capacitive Touchscreen (PCT) – allows use of up to five touch points and the luminance is reduced by only around 10%. The uxTouch is a capacitive touchscreen with a decorative cover glass and is an ideal product to apply in projects where aesthetics matter. 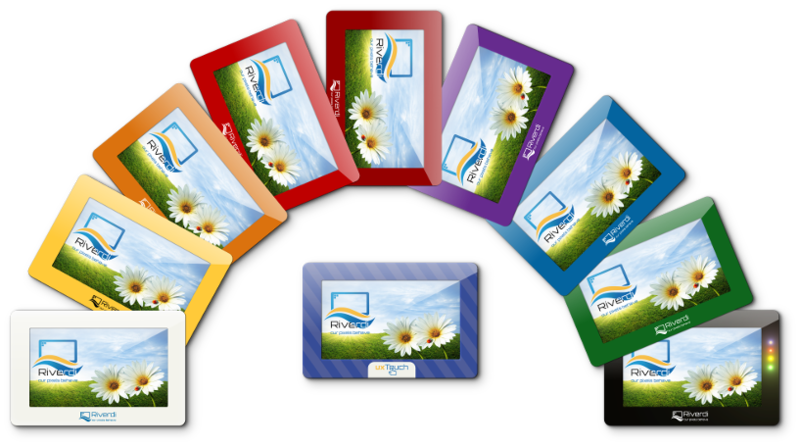 Riverdi offer a customized series of uxTouch displays. 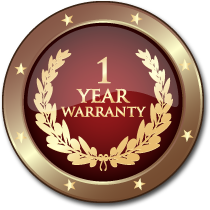 We specify three levels of customization. To get more information on uxTouch ‘s advantages, please contact us. Riverdi offers a built-in LED inverter in all TFT modules with SSD1963 and FT8xx controllers. You don’t have to trouble yourself with generating suitable voltage levels. Backlight steering only requires providing a PWN signal to the module. Metal Mounting Frames are another optional item – they enable easy mounting of the TFT module in your device – you can mount the TFT module by using just four screws.